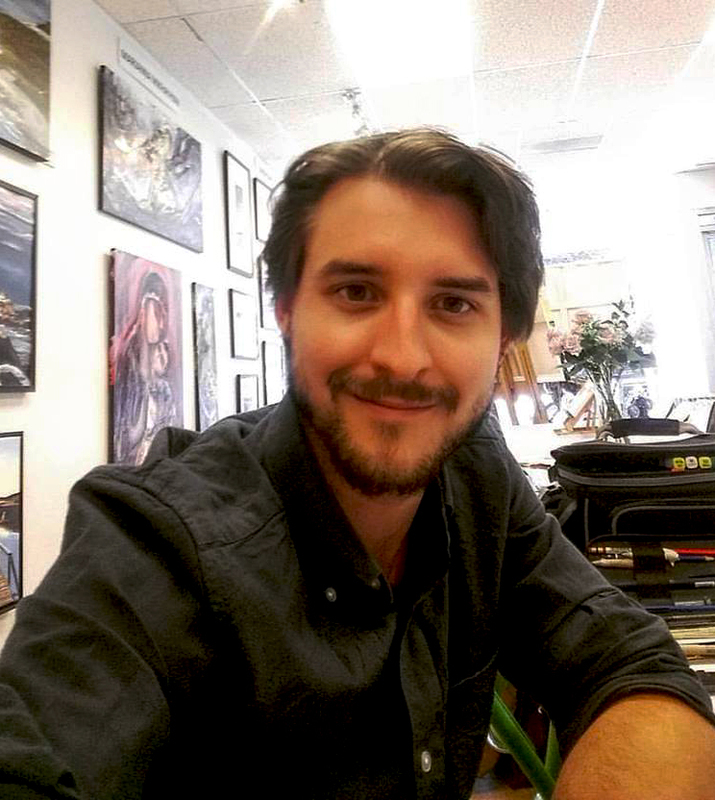 It has been said that a journey is often more significant than the destination itself, and indeed, while most of us can identify with the adage, I had never contemplated this in the context of an inanimate object. That is, however, until I received an intriguing telephone inquiry in the fall of 2012. As is often the case, I was contacted by a legal firm in the Ottawa area, and asked to provide a numismatic estate appraisal. Unusually, however, this estate consisted of a single coin, which was being described to me as none other than the fabled 1936 “Dot” Penny. Arguably Canada’s most famous coinage rarity, special strikings of this otherwise common date were prepared with a raised dot beneath the date – signifying their actual striking in 1937, while awaiting new dies after the unexpected abdication of King Edward VIII. Naturally I was highly skeptical. While I once had the privilege of being present for the public sale of one of these extreme rarities, only three Specimen strikings of the purported several hundred thousand struck had ever been discovered. Indeed, of the many wishful claims over the years that I, and many other dealers have fielded, not a single known circulated example has ever been discovered. The variety of imposters I have seen are limited only by the human imagination, and range from “dot-added” forgeries to clever obverse-drilled examples which produce a semi-natural “hump” in the general vicinity of where the dot normally would be. 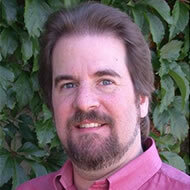 Due diligence demanded I respond to this inquiry, however, and I followed through with a visit to the firm’s office. As expected, I was presented with a coin that evidently was a small Cent of George V, but that was it. Rarely had I seen a Penny that was as structurally impaired as this estate piece, and whether or not it was actually a 1936-dated piece was even inconclusive. It was indeed a one-in-a-million piece, but unfortunately not in a positive way. The actual market value of this numismatic estate? Less than the value of the envelope in which it was housed. In fact, had I not taken a casual second look at the envelope itself, I might never have come to appreciate the remarkable journey this coin had taken in its quest for recognition. 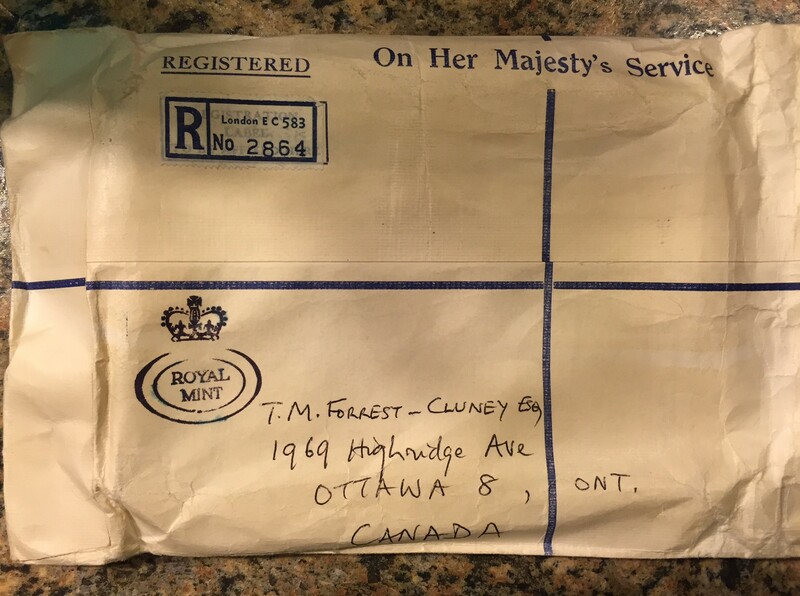 What first caught my eye on the cream-coloured linen envelope was the “On Her Majesty’s Service” imprint, then the custom “Royal Mint” embossment, and finally both London and Ottawa Registration stamps from the spring of 1967 (yes, the envelope was posted when I was just five weeks old). Revisiting the accompanying paperwork, a delightful story quickly unfolded before me. The coin entered the first leg of its journey through the Canadian postal system, as the Ottawa-based owner forwarded it to England’s Royal Mint with a request for authentication as a 1936 “Dot” striking. 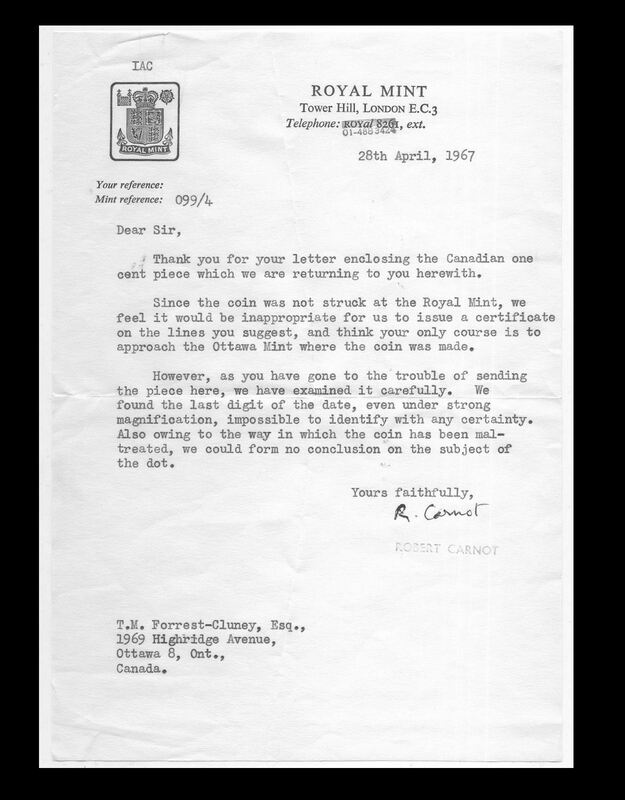 This in itself is ironic, as – per the Royal Mint’s responding small typed letter of April 28th, 1967 – England had not struck Canadian coins since the opening of the Royal Canadian Mint (originally, the Ottawa Branch of the Royal Mint) in 1908. 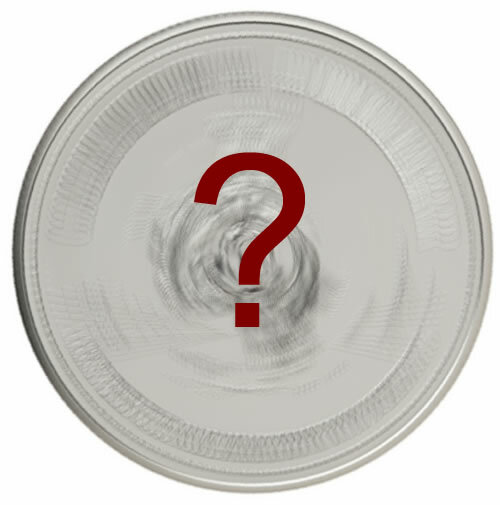 Thus, where the owner could have taken a 10-minute jaunt to Sussex Drive and likely obtained an authoritative opinion from the coin’s actual manufacturer, it was instead sent on a transatlantic journey. To the likely disappointment of the owner, the above-referenced letter, eminently thoughtful and concise, confirms the uncertainty of the piece and refers the sender back to the “Ottawa Mint”. Thus, on April 28th, 1967 (again, the same day the letter was dated), the coin was once again packaged up and dispatched via Registered Royal Mail where it was received into the Canadian postal system two weeks later on May 12th – just weeks before Canada’s Centennial. 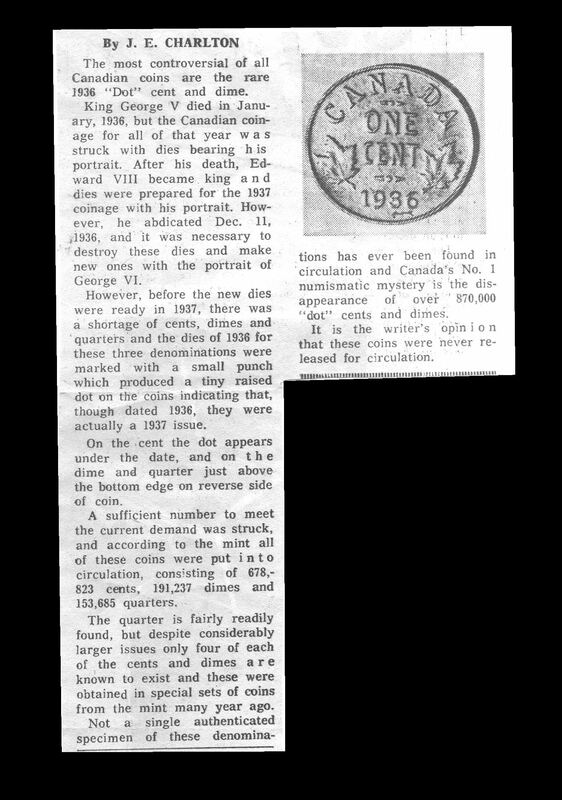 Also found in the envelope was the obvious catalyst for the owner’s inquiry – a newspaper clipping of a short article written by the late numismatic luminary James Charlton, detailing the intriguing story of the 1936 Dot coinage. 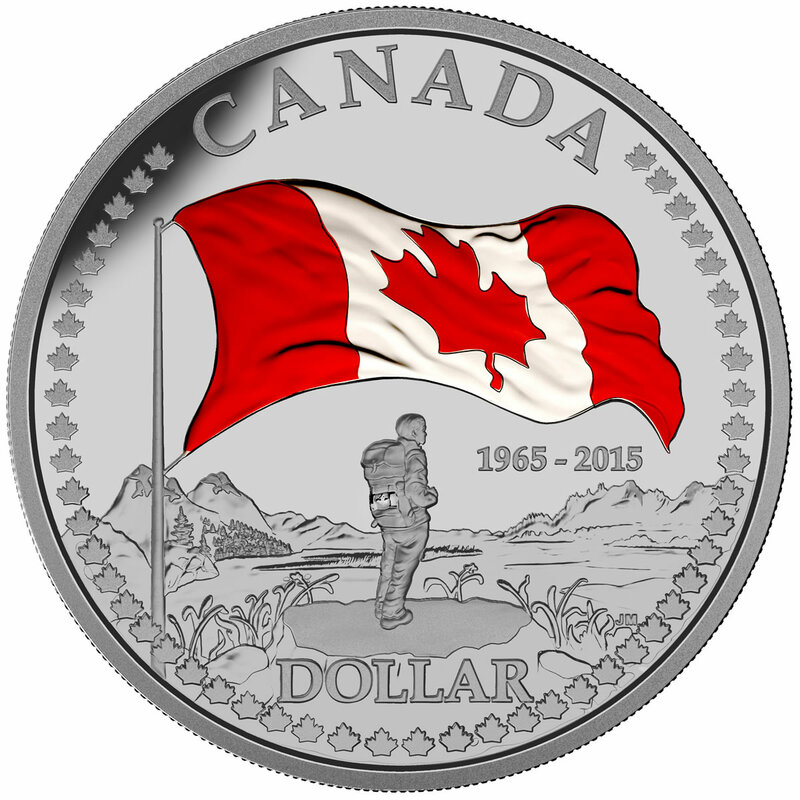 Once back on Canadian soil, a subsequent letter from the Royal Canadian Mint marks the final stage of this coin’s epic journey, while also relieving the owner of any dreams of early retirement. Once again, this thoughtful and formal letter reminds of us a pre-email past, where professional courtesy demanded more than just a quick hashtag or telephone message. 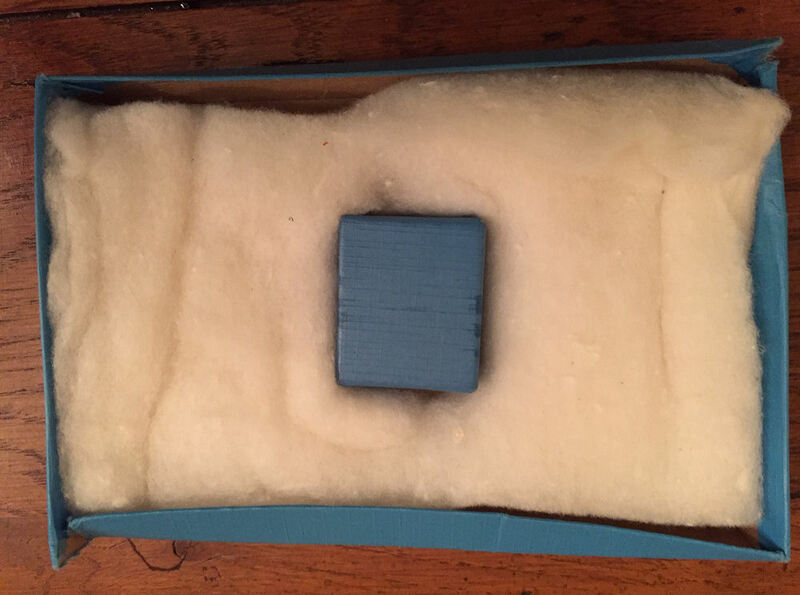 In the end, I offered the estate twenty-five dollars for the envelope and contents, not with expectations of seeking a profit, but rather out of appreciation for the historical context within which this extremely humble coin took its most interesting journey. 3-day Boxing Week Blow-out. 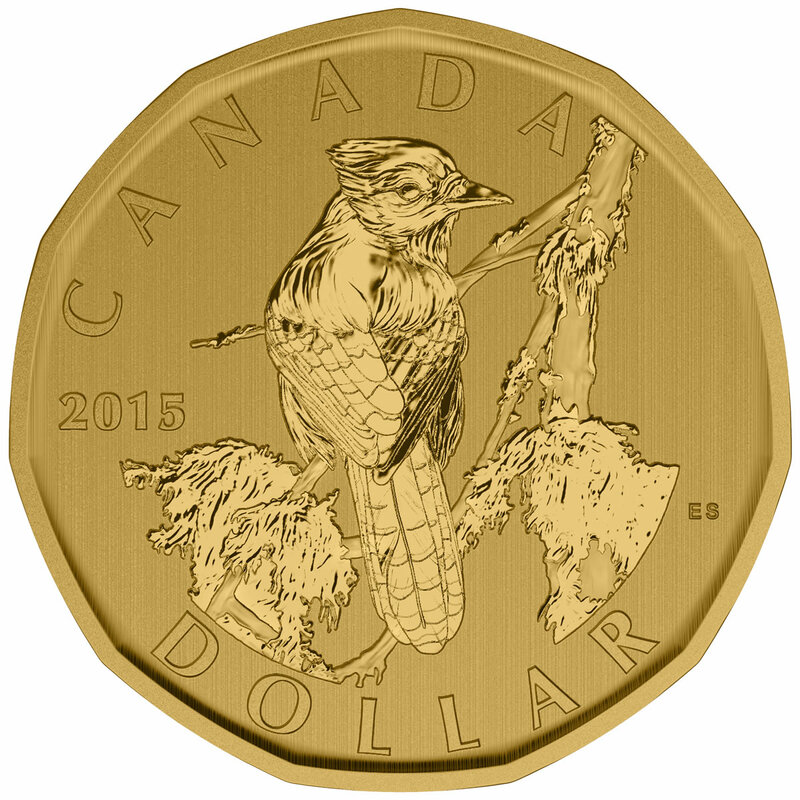 Nowhere else in Canada will you find a similar sale in the Coin Business, offering year-end discounts on even the very latest Royal Canadian Mint products. With hundreds of new and diverse items in stock – including world type coin sets from 150+ countries – we invite you to join us and take advantage of this once-a-year inventory clearance. Bullion excluded; banknotes not sold below face value! Don’t miss out on the phenomenal savings to be found in our exciting collection of door crasher sale items. Below are some highlights from our 2014 Door Crashers; hover over each item for details, or click to launch the slideshow. For a complete list, please download our 2014 Alliance Coin Boxing Week Sale Flyer. Doctor Who BBC/Royal Mint Collector Medals $3 (Reg. $8) One per customer.